Alaina loves stuff! She gets very excited when she gets anything in the mail. She was overjoyed when we received a package one day when I told her it was just for her. She was very delighted to find in it two books from Kinder Cottage Publishing. She received Peter Rabbit's Birthday and Peter Rabbit at the Farm. 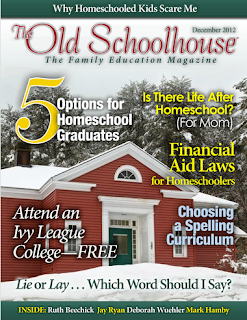 Kinder Cottage was started in 2012 because Howard and his wife Ann wanted their children to grow up with a love of literature, history, culture and Christian faith. 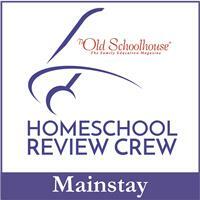 Their goal is to offer products that help parents educate their young children. They started their company by offering books about Peter Rabbit and Wizard of Oz. 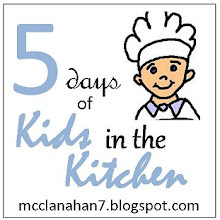 New book series are already in the works targeting Primary and Elementary age students. 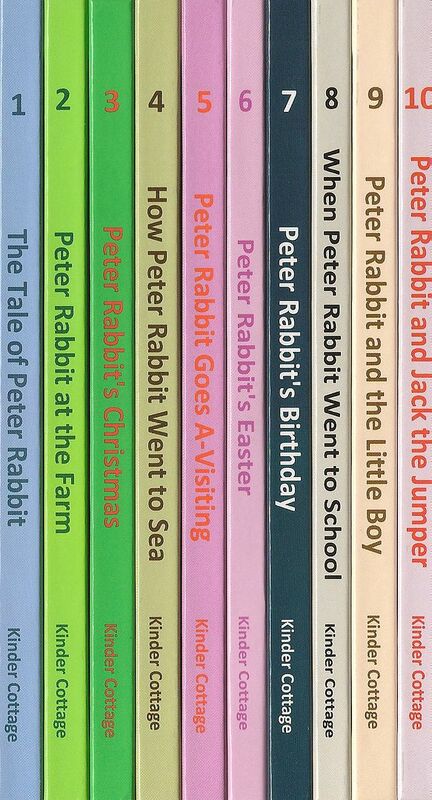 There are 10 Peter Rabbit books that are 5X7 hardback and sell for $4.00 a piece or you can purchase all 10 for $30.00. They are adaptions of the original books published in 1917 by Henry Altemus Company. The text is updated, but the color illustrations are preserved from the original. They are recommended for children 3-9 years old. 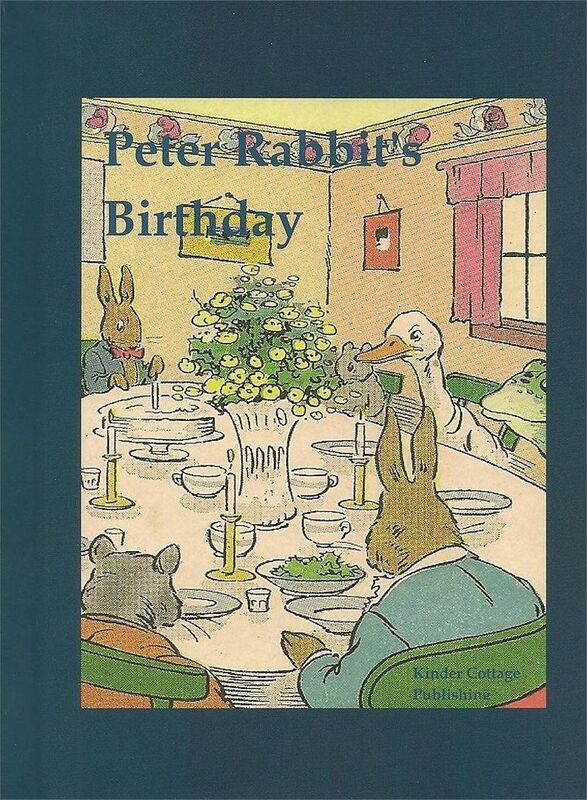 Peter Rabbit's Birthday is 64 page book about mischievous Peter Rabbit. His sisters are always good, but Peter is always up to something. The night before his birthday he was very good, but things changed the next day. Peter starts his birthday off by spilling the flour all over him and the floor. Then he gets himself into trouble with Mr. McGregor when he goes out to invite his friends over for his birthday party. After meeting the hand-organ man and his monkey Peter lost track of time and when he realized it was already time for his birthday party he started to cry. A caring boy on a bike stopped to see what was the matter and gave Peter a ride home in his basket. His family was very relieved to have Peter home safe. 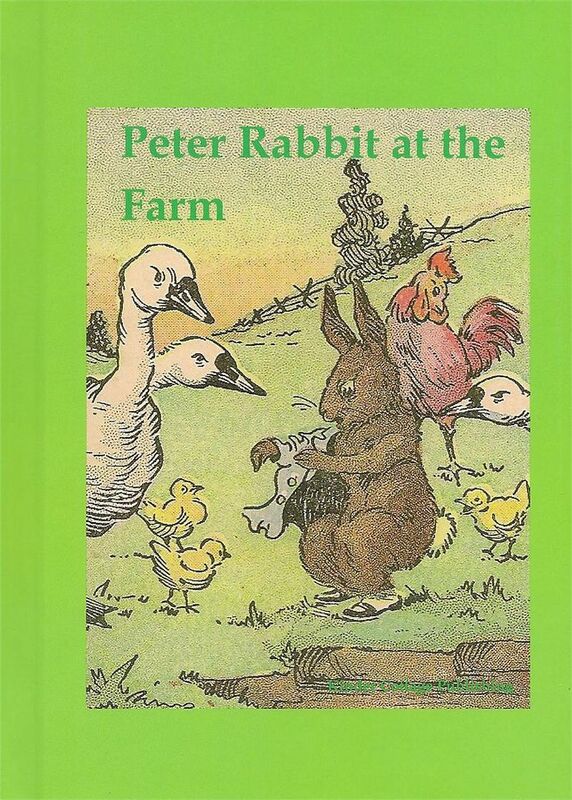 Peter Rabbit at the Farm is 64 page book that Peter Rabbit on an adventure at the farm. After sneaking away from his mother he accidentally ruins Pollie Possum's persimmons. Pollie's politeness made Peter very happy. Then Peter helps Goosie Poosie figure out why there is no water in the pond. After meeting several other animals on the farm Peter gets himself in trouble because he wanted to see where milk came from. His family was very relieved when Peter finally arrived home safe. Both of the Peter Rabbit books are set up the same way. The story is written on the left hand page and there is a picture on the right hand page. The illustrations are in color and look just like the pictures on the book covers. The stories have been adapted, so the words we no longer use today have been replaced with a more frequent used word of today. They stories still flow very well, but make it easier for young children to enjoy on their own. 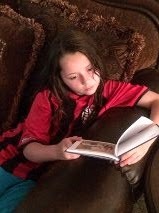 I intended the books for Alaina (age 9), but her sisters had to read them too. 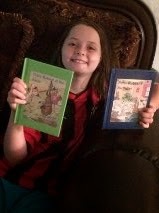 Alaina's reading level is beyond the Peter Rabbit series, but she still loved to read them. She doesn't look at picture books as being to little for her, she loves a good illustrated picture book. She took these two books to her room and if she only had a few minutes before lights out she would chose them to read. She not only reads the story, but she studies the pictures. She loves to draw & she lingered over these pictures admiring the details every time she read them. This series of the Peter Rabbit books would make a great addition to any of young child's library for years or even older children who enjoy a good picture book. Crew members received all 10 of the Peter Rabbit books and those reviews can be read at the Schoolhouse ReviewCrew Blog.